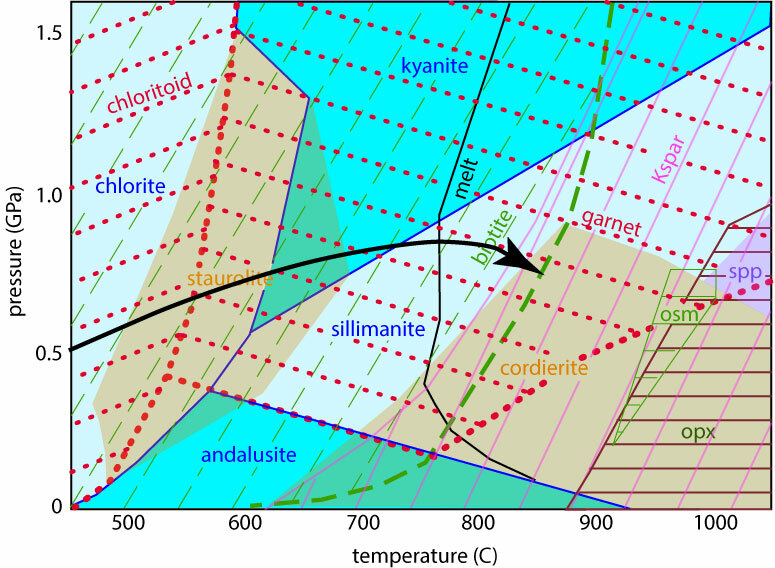 To start, we assume excess SiO2, H2O, meaning that quartz/coesite and H2O are stable in all mineral assemblages. 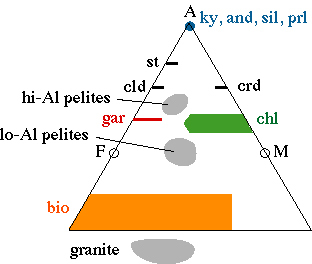 Then we assume that plagioclase is also stable and of an unknown, but unimportant, composition; by this we ignore the effects of Na and Ca. 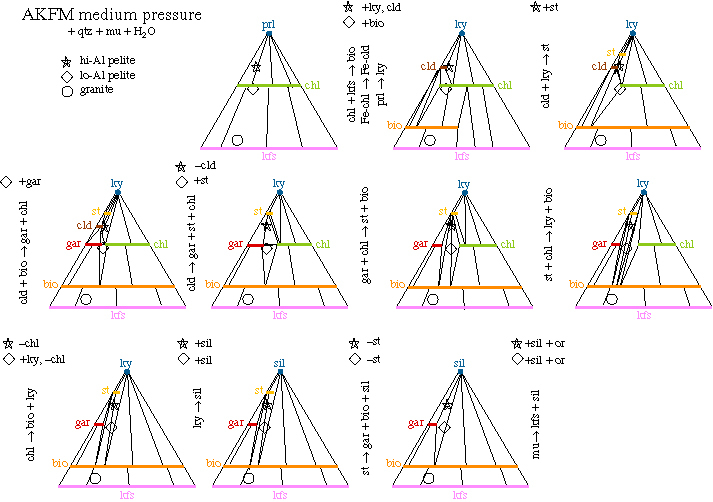 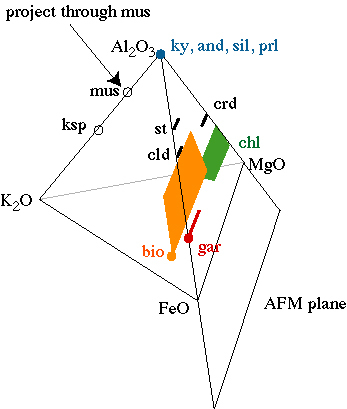 This results in a common pelitic assemblage such as st + gar + bio + mus + plg + qtz + H2O (7 phases) plotting as a triangle. 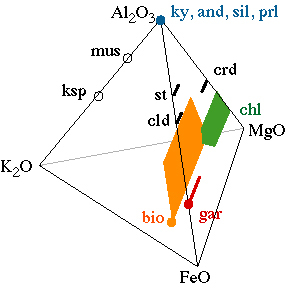 This is convenient, and possible only because we have assumed that i) qtz + H2O are in excess, ii) plagioclase is present, and iii) muscovite of fixed composition is present. 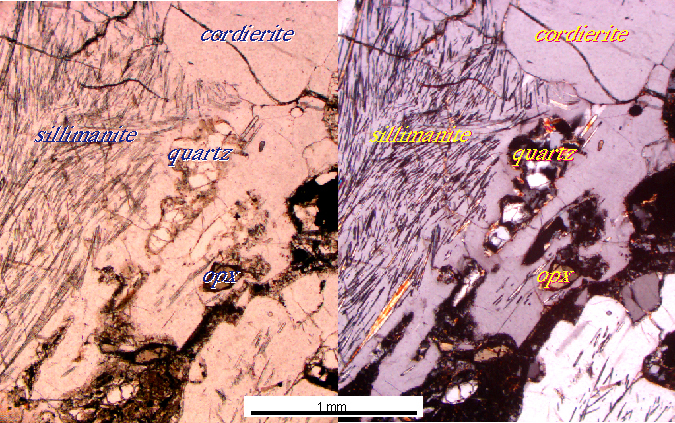 Below is an example showing the prograde metamorphism of pelites around the Kangmar Dome of Tibet. View the AFM movies #1 and #2 of Worley and Powell showing how mineral compositions and stabilities can change with changing temperature.